This website was created to give Latter-day Saint converts an opportunity to share their convert stories and their testimonies of the gospel of Jesus Christ online. It was also created to give non-members an opportunity to learn more about the converts to the church, and to learn more about the restored gospel of Jesus Christ. Every sincere testimony of our Savior Jesus Christ is precious. You may also find testimonies of the gospel found on http://mormondoctorstestify.org/ and http://mormonwomentestify.org/. Theses sites are hosted and maintained by http://www.mormon.org/. I am thankful to Scott Gordon, president of Fair Mormon (Formerly called Fair LDS) for his generosity. I am also thankful to Richard K. Miller, who works for Fair LDS as well. He has been a tremendous support. I am grateful to Tanya Spackman for the excellent work she has done in the website design and for encouragement given me by friends and family. My husband and children have been my biggest supporters and I love them more than words can express. You are also invited to read testimonies and read more about beliefs of The Church of Jesus Christ of Latter-day Saints at Jesus.Christ.org. I love and appreciate people of many different faiths. Although we may disagree on doctrine, I strive to focus on those things we have in common, such as our desire to make the world a better place. Together, there is much we have done and will continue to accomplish in helping others, such as providing humanitarian efforts worldwide. 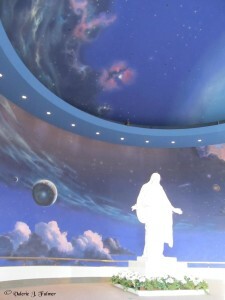 For more information about the Church’s Humanitarian Efforts, go to http://lds.org/service/humanitarian/church?lang=eng. I believe every person is a precious son or daughter of God. No one is above another in the eyes of the Lord. Each person was born with a purpose. Each one of us has our own journey to experience. We can all contribute to this world in our own unique ways. Each one of us has been endowed with different strengths and we have also been given weaknesses. We can learn to appreciate one another’s gifts and talents and try to be patient with each others’ faults. We are all a work in progress. The only perfect person to have ever lived on this earth was Jesus Christ. This doesn’t mean we stop trying to be the best we can. It is a privilege to try and be more like our Savior. And with our efforts, our faith and through repentance and the Atonement of Jesus Christ, we truly can become more like Him. I believe every person has great potential. My desire to share the gospel of Jesus Christ has compelled me speak up, in person and online. Although because I am an introvert, it is easier for me to interact with people online. It is my hope that many people will be inspired by the testimonies found here. To learn more about The Church of Jesus Christ of Latter-day Saints, please visit the official website at mormon.org. Valerie Fulmer was born in Germany and grew up in Washington state. Even though she’s not a convert to the church (she’s been a member since age 8), she has been fascinated by converts, their conversion process and their testimonies. 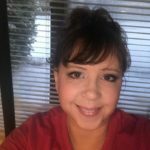 She received an Associates Degree in Office Education from Ricks College (now BYU-Idaho) and has taken numerous classes as an undergraduate student at a few different universities. She hopes to finish her studies to earn a bachelor’s degree in psychology someday. She works with her husband who is a private investigator as an administrator for Fulmer, P.I. She and her husband have three adult children.